My father came to this country when he was but twelve years old. He was alone, a refugee from the genocide that was taking place in his native country. His parents and his sisters were to come the following year but they never made it. He grew up here, an orphan, relying on the kindness of the people of this — to him — foreign country. Today, there are a lot of people who have come to America seeking a better life, a safer life. Unfortunately, America is not as welcoming as it once was, not as welcoming as it should be. We find ourselves in the situation where many of our newest residents are not being welcomed but instead are in danger of being deported, forced to return to countries they may have fled — as my father did so many years ago — to save their very lives. And so, they stay under the radar, doing their best to live and survive while not calling attention to themselves. One of the other ways San Francisco has done the right thing is by passing a charter amendment in 2016 that allows non-citizens who are the parent or legal guardian of an SFUSD student to vote for members of the Board of Education. This November, for the first time, non-citizens will be able to vote in San Francisco. There has been a lot of hostility towards this idea, as if not everyone who lives here should have a say in how their tax dollars are spent. Whether or not there is any validity to that opposition, the election for the Board of Education is a unique situation. The students enrolled in the school district are the primary stakeholders in the outcome of this particular election but being, for the most part, unable to vote themselves due to their age, it falls upon their parents and guardians to vote for them. Their parents and guardians must have a voice and be able to speak on their behalf, regardless of their own status. And so, yes, the right answer is that the parents, legal guardians, and legally recognized caregivers of children living in San Francisco should be allowed to vote in the election for school board members. Sadly, given our current national political climate and our federal government’s anti-immigrant policies, generally speaking, it is not necessarily safe for non-citizens to do so. 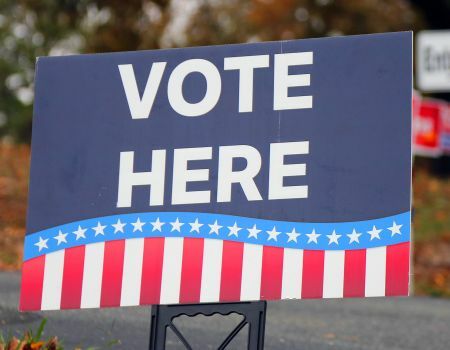 Each person, ideally with guidance from qualified, knowledgeable legal counsel, must decide for themselves whether or not it is safe and advisable to vote. Hopefully, however, that will change in the very near future and everyone who is eligible to vote will be able to do so safely.